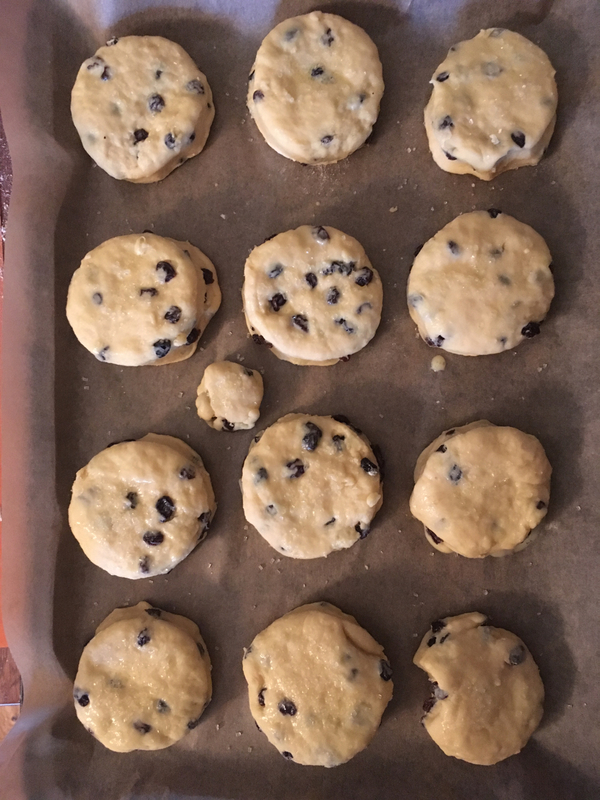 I have been feeling the need to bake. But unfocused as to exactly what I should bake. I thought about cookies, or a cake. 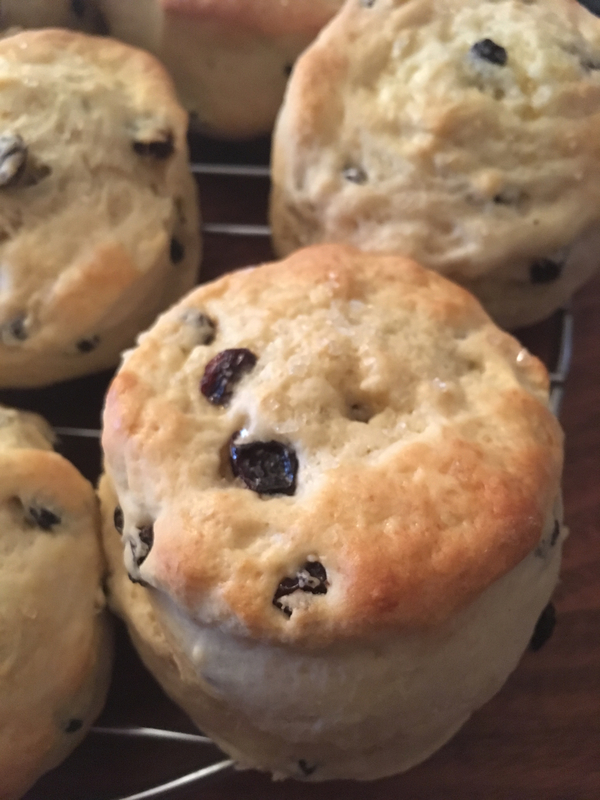 But having come currents leftover from my biryani project last week, scones jumped to the head of the list as the most natural thing to make. 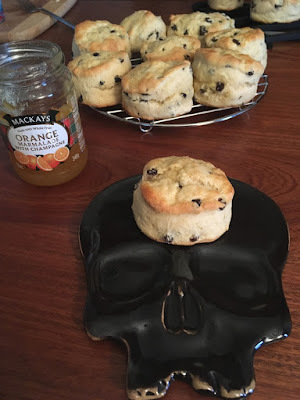 A quick survey of options brought me to Cooks Illustrated's Proper British Scone recipe from issue 127. Pretty simple, not overly sweet, I had all the ingredients in house, and it would use up most of the currents. Here they are, raw and cooked. They definitely did what you'd want scones to do, puffed upward but not outward, tall and, well, scone-y (as opposed to muffin-y or biscuit-y or cakey or bready). 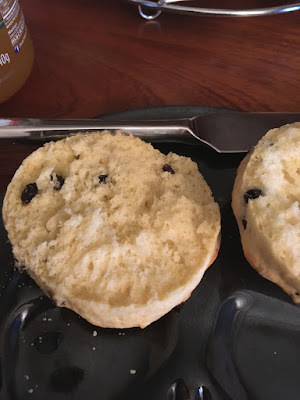 It's worth calling out the little "bonus" scone tucked on the pan in the photo above. I can never bring myself to just throw out the bit of dough that inevitably is left behind once you've cut, pressed, measured, or scooped all the whatever you can out of a batch. It was just as delicious as its full-sized relatives. 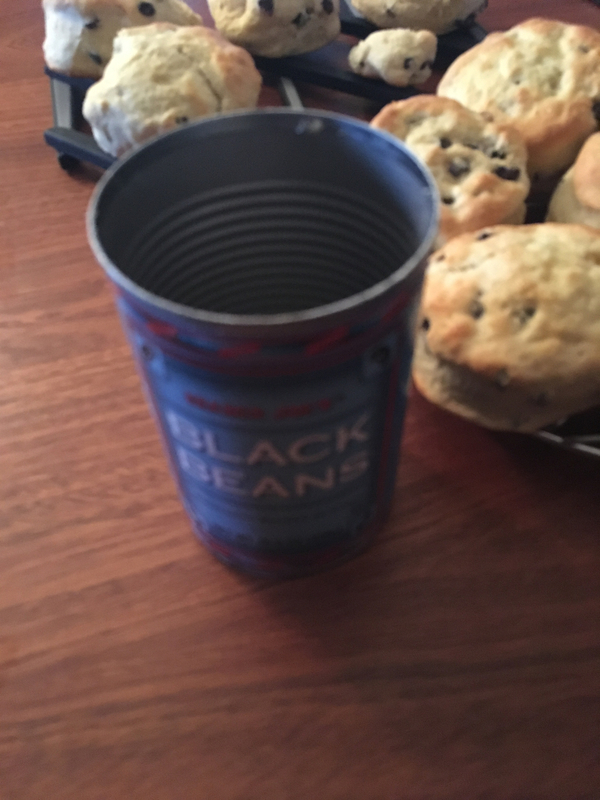 I lack a biscuit cutter, so extend a special thanks to the can of black beans I made into chili last night. 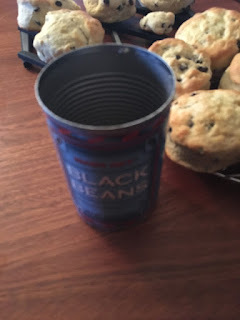 Since I hadn't recycled it yet, it served the purpose admirably.